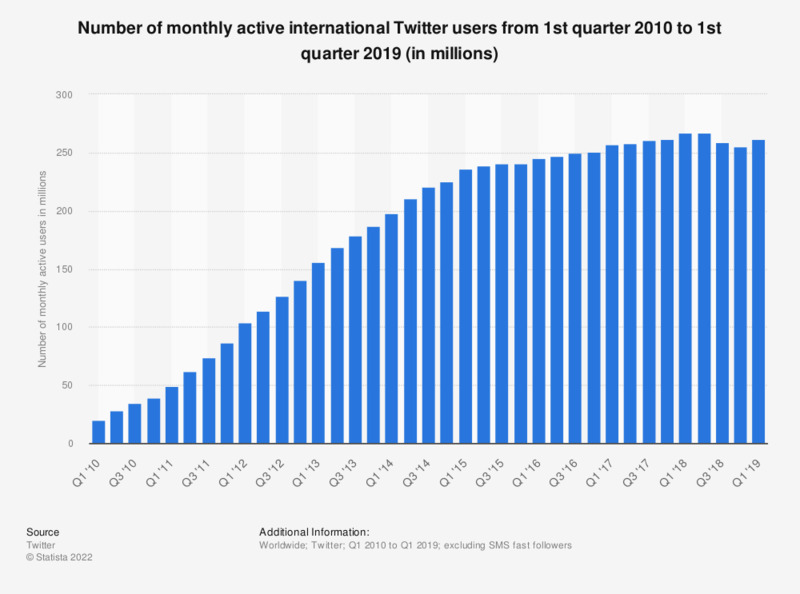 This statistic shows a timeline with the amount of monthly active international Twitter users as of the fourth quarter of 2018. Excluding the United States, the number of monthly active international Twitter users amounted to 255 million as of the most recent quarter. In total, Twitter had 321 million global monthly active users.